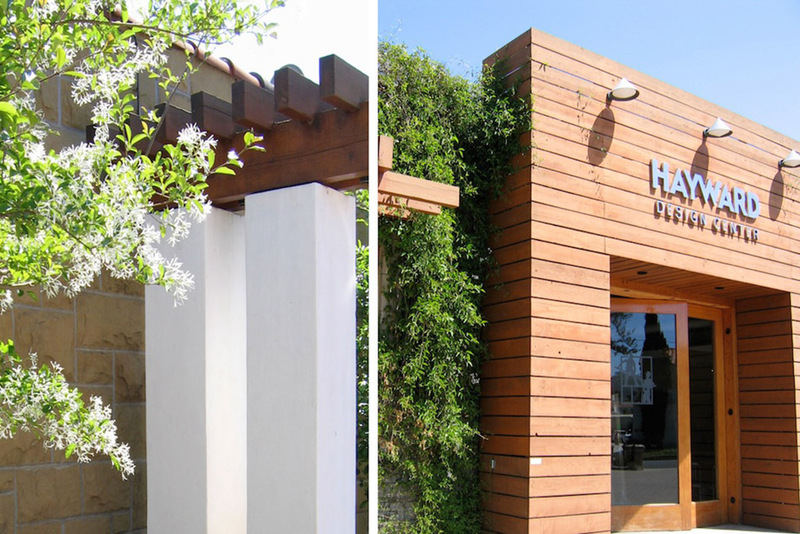 An ordinary parking lot and warehouse building were ‘recycled’ into a beautiful melding of elegant native plantings and ecologically intelligent design for Hayward’s. A hint of unique nature of this commercial building is suggested by a runnel that irrigates the native plantings with stored rainwater. Customers likely are not aware of all of the undercurrents of sustainability. 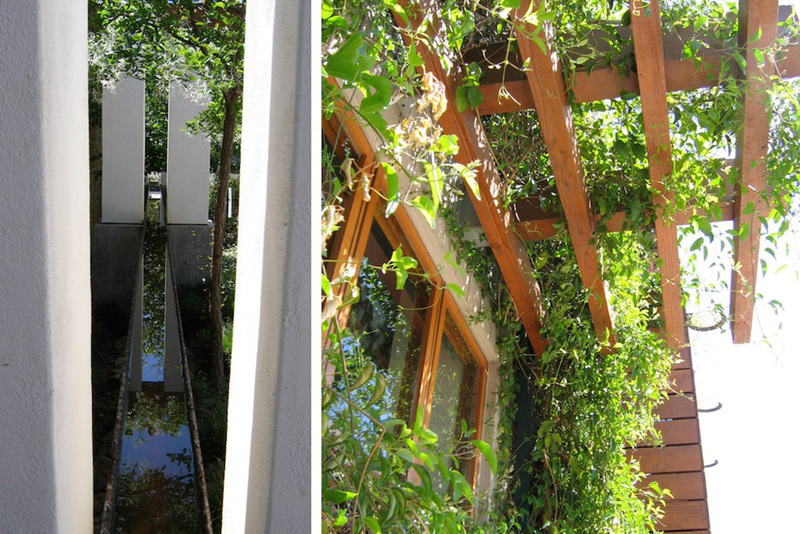 Storm water runoff, traditionally a pollution source, is redirected into on-site bioswales, and rainwater from the roof is stored in a rooftop cistern, where it is available for landscape irrigation. The entire west elevation of the parking lot is a “green screen” wall of vines, which insulates and helps reduce solar heat gain. 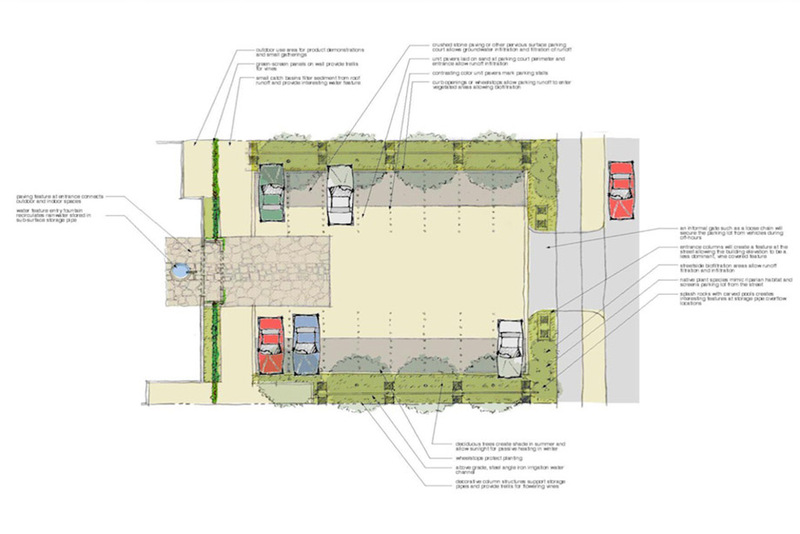 Plus, permeable stone paving minimizes storm runoff as well. 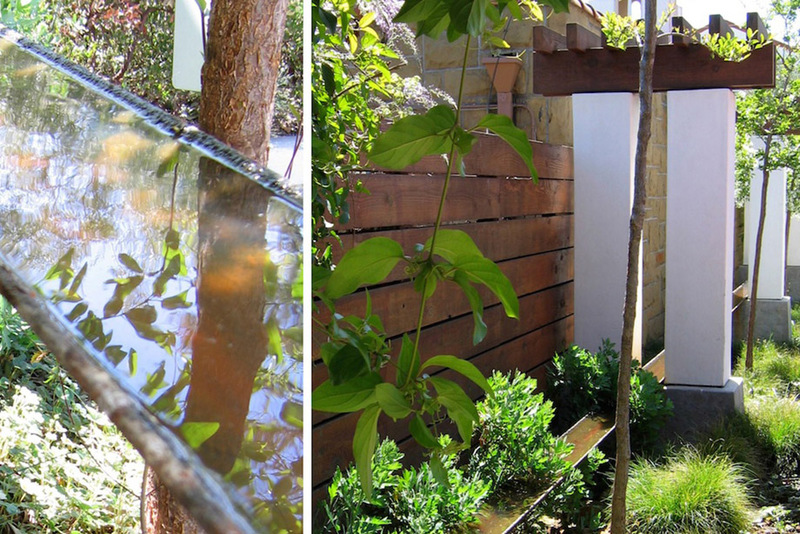 This intelligent design fuses aesthetic beauty and environmental sensitivity to celebrate the abundance of water.